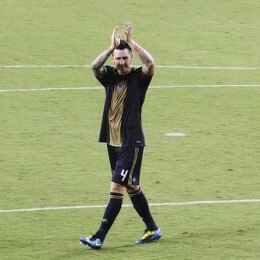 Greg and Dan are joined by Euro soccer nuts Adam Cann and Mike Servedio to preview Champions League and talk Philadelphia Union and the Philadelphia Independence. 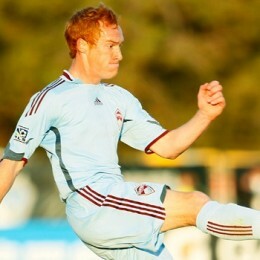 Colorado Rapids midfielder Jeff Larentowicz sits in for this week’s podcast. The Philly product talks bluntly about his remarkable rise from bench-warmer to all-star, the Philly soccer scene, and the structure of MLS, a topic on which he has a very unique viewpoint. 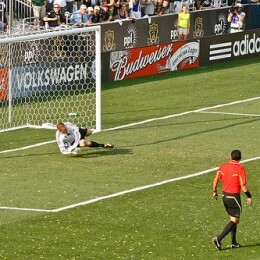 Hosts Dan & Greg also talk about Philadelphia Union, the Bob Bradley watch, and other soccer news. Philadelphia Union captain Danny Califf talks about life with the Union in a candid, wide-ranging interview. He talks about the team’s recent struggles, what’s worked and what hasn’t, and his optimism about the franchise’s prospects. Greg and Dan also talk some Union, Philadelphia Independence and USMNT. 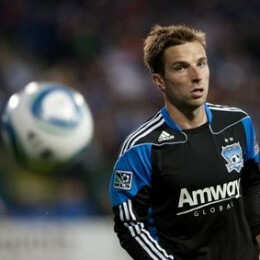 Philly native and San Jose Earthquakes star midfielder Bobby Convey sits in on this week’s KYW soccer podcast. He reveals what stopped him from playing for Philadelphia Union, his comeback from injury to all-star, his prospects for a return to the national team, and Philly’s youth soccer scene. 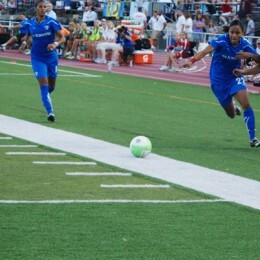 Greg and Dan also talk about the Union, big signings by the Sounders and Red Bulls and the U.S.-Brazil friendly. 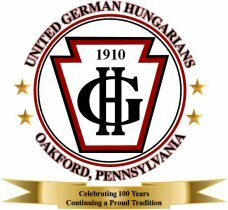 USASA Hall of Famer Werner Fricker, Jr. sits in on this week’s podcast to talk about this weekend’s USASA Amateur Cup finals being held in the Philly area to commemorate the 100th anniversary of United German Hungarians, a two-time U.S. Open Cup finalist and longtime amateur soccer power. 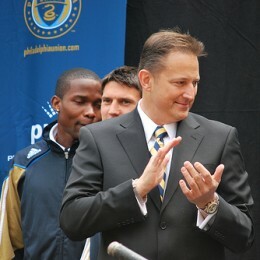 Hosts Greg Orlandini and Dan Walsh then examine the Justin Mapp trade and Philadelphia Union’s midseason outlook. Philadelphia Union CEO Nick Sakiewicz sits in for this week’s podcast, addressing the club’s plans for signing a designated player and other new players, team finances, plans for expanding PPL park, and the unusual status of J.T. Noone. Philadelphia Union winger Shea Salinas talks with PSP’s Dan Walsh and KYW Newsradio’s Greg Orlandini about the Union, his position switches, Clint Dempsey, his infamous Craig’s List ad, and his love of the movie Top Gun. Listen in for that and more talk about the Union and their potential signings during the summer transfer window. Philadelphia Union goalkeeper Chris Seitz joins PSP editor Dan Walsh and KYW editor Greg Orlandini for this week’s edition of the soccer podcast, as they review the World Cup and the Union’s recent form. KYW editor Greg Orlandini and PSP editor Dan Walsh break down the crushing loss that ended a dramatic World Cup run for the U.S. and look ahead to what comes next for Bob Bradley and the national team.